Brilliant photographer!!! 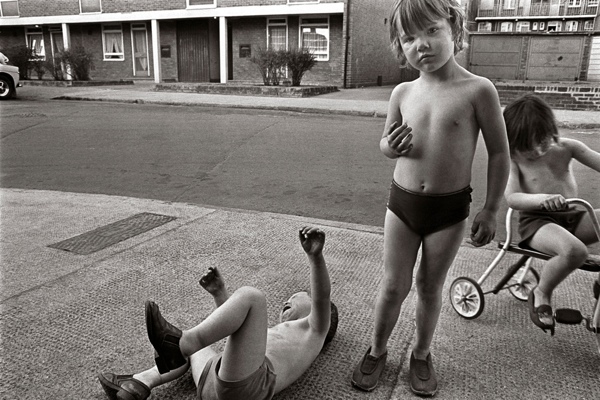 He certainly captured the essence of postwar London lingering on into the ’70s. What fantastic photos, I love them. Quite dark and wicked. Lovely first photograph of the woman in the pub! They are all very interesting photographs, which mostly feel quite different to me from Tony Hall’s, Colin O’Brien’s, and John Claridge’s photographs of the East End. 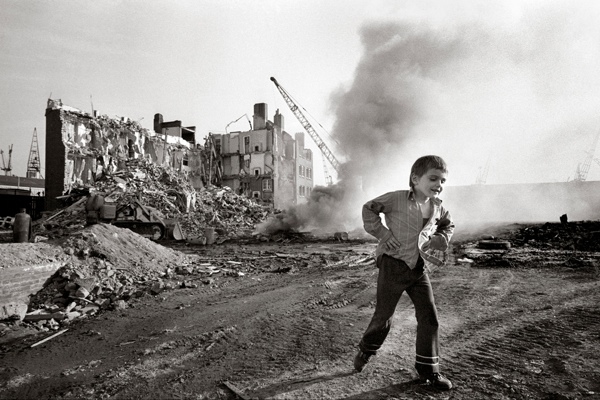 Can one detect that those photographers felt part of the community they were photographing and Tony Bock did not? I certainly sympathize with what was the final straw that drove Tony Bock out of England. Those were difficult times indeed! Such evocative photos. 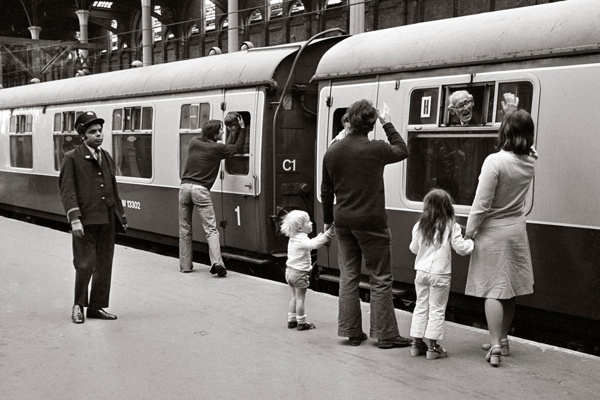 It’s hard to pick a favourite (not that you asked) but I really like the Liverpool St station one – people’s heads stuck out of carriage windows…little people looking anxious on the platform. I love the corner store trying to decide what will get people in the door – tights? blades? purses? Just love it all. Wonderful photographs. I love the sad clown and the view of the docks best of all, but they’re all great. Very atmospheric. Amazing photographs. Lived in Leytonstone then. Didn’t realise it was all so dingy. No wonder I used to feel so low. More wonderful photos! Lovely to see these published. I noticed in the shop window display the font style is what you see designers using everywhere now – what goes around comes around, the old shop keeps knew what worked! Great and resonant pictures, thanks for sharing as ever! 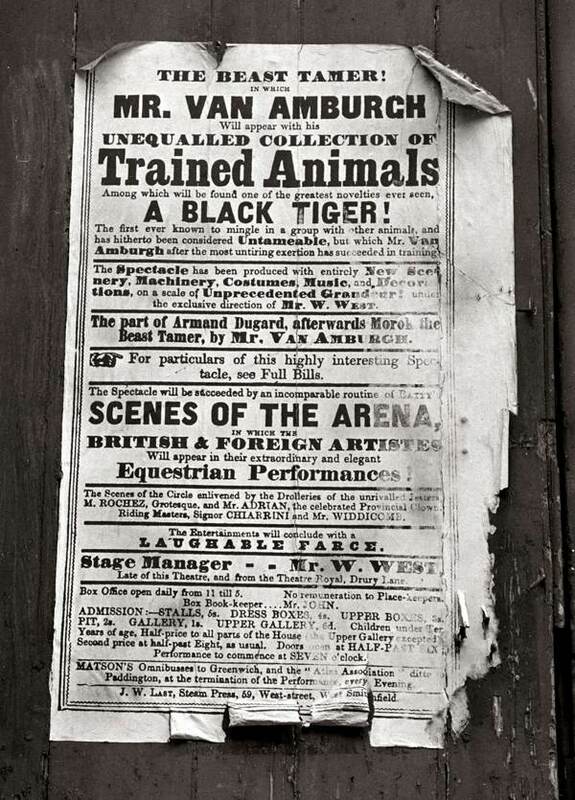 The last image of the poster advertising Van Amburgh and his black tiger would have been pasted up around 1840s – amazing it lasted so long until 1970s!! Absolutely love these pix! They are so evocative of the area and the time! 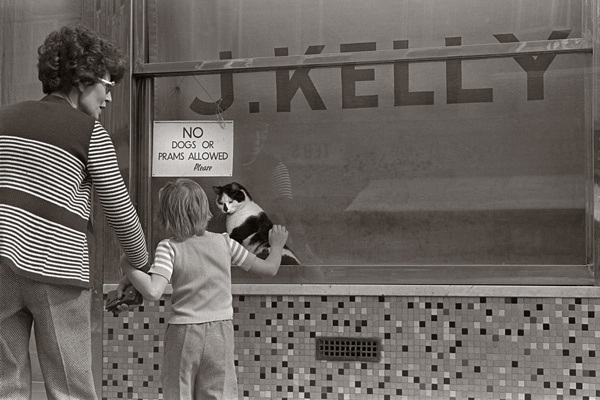 Only London in the 70s could look like everywhere else did in the 50s. Fabulous photographs Tony. Great faces with stories to tell. 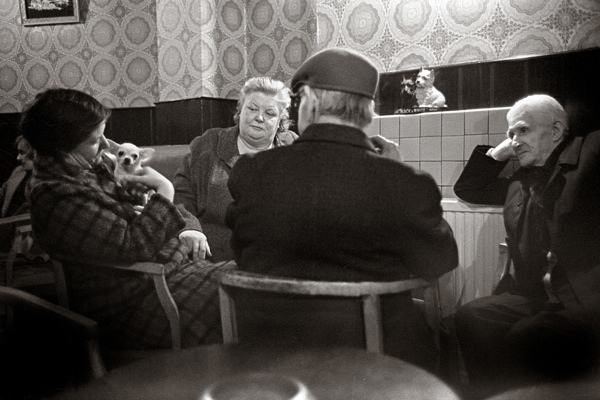 Love the portrait of Bethnal Green having a pint. Great selection of historic images. Congratulations. Can’t beat Black and White. I love the picture of the old gal enjoying her Guinness. 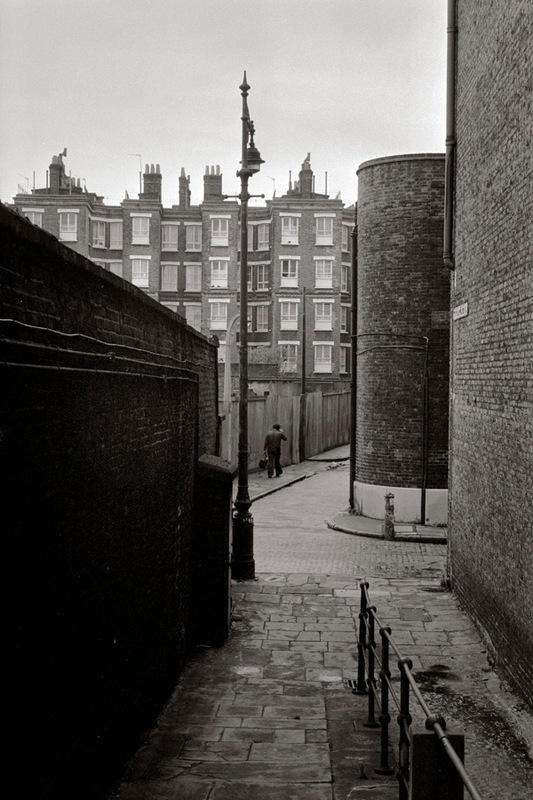 Love the Wapping Stairs photo. This is my favourite kind of photography. 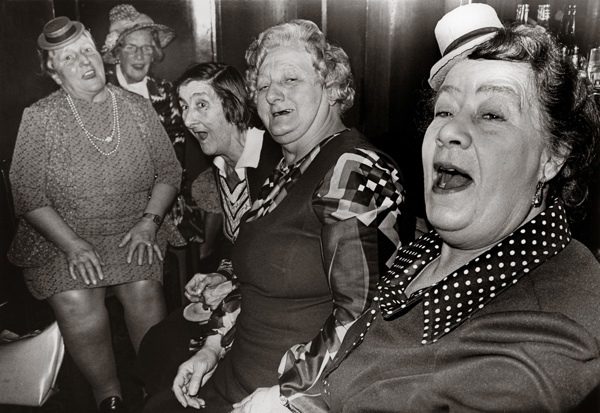 The second one, Saturday night out in Dagenham, is like something out of George Grosz or Otto Dix. And I love the child reading in Watney Market, standing there so properly, bellbottoms dragging. This photos are love a first sight. Brilliant work! 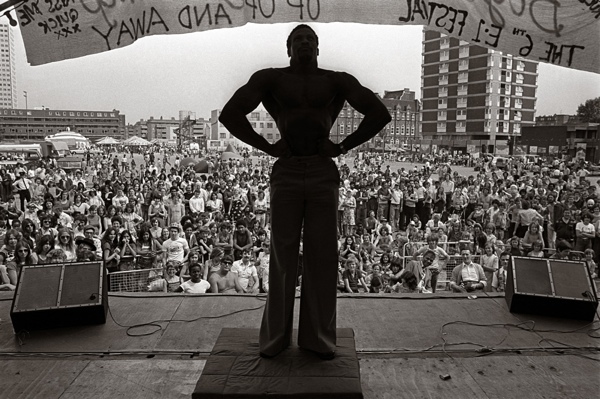 Was a kid in Hackney during the 70′s. 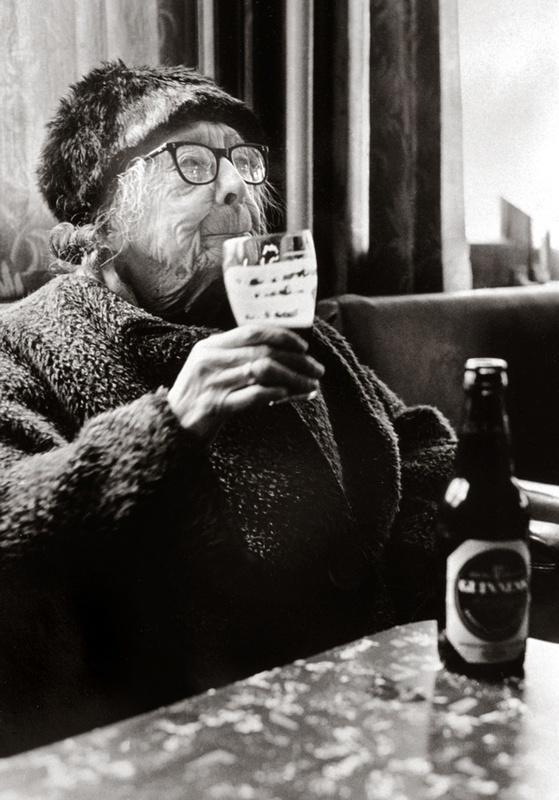 The photo of the old lady with Guinness, reminded me of my old Great-Grandad who use to love Guinness and drink it down the end of Middleton road, the Paget Arms. Good times. Marvellous photos and definitely ‘an eye’ at work here — quite different from any other photographer’s take on the East End. I love them. Great stuff Tony. We miss you here!! great pics ,always good to look at people photos . 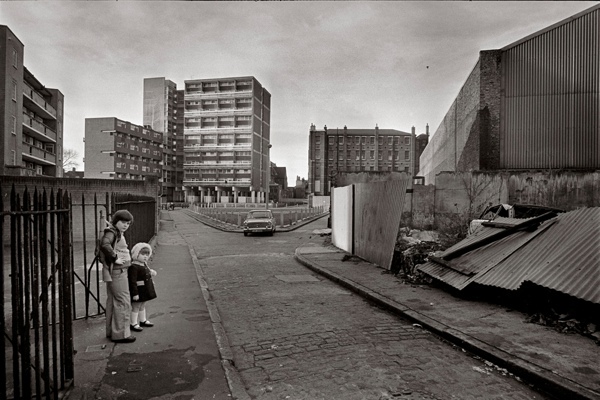 I love these photos, especially the ones of Wapping, where I live now. I need to take a walk round to Pearl Street and decide where the photo was taken. 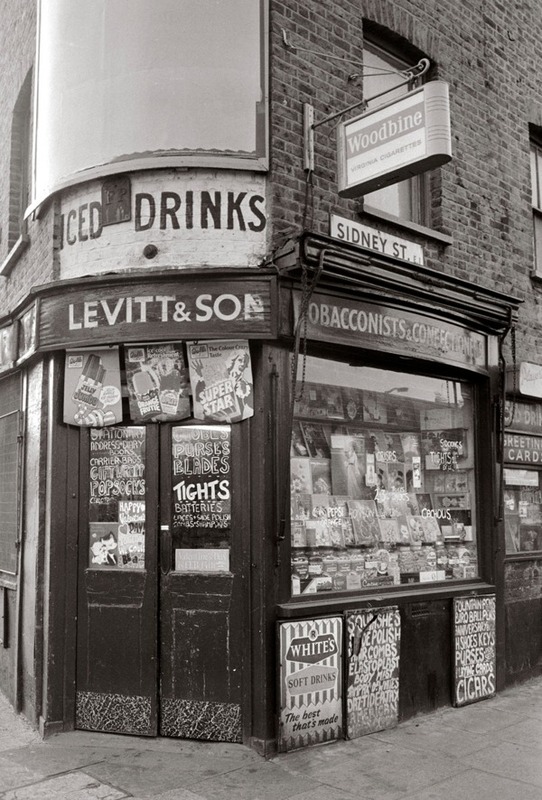 Wapping Old Stairs is, of course, immediately recognisable as is Watney Market – wonderful. 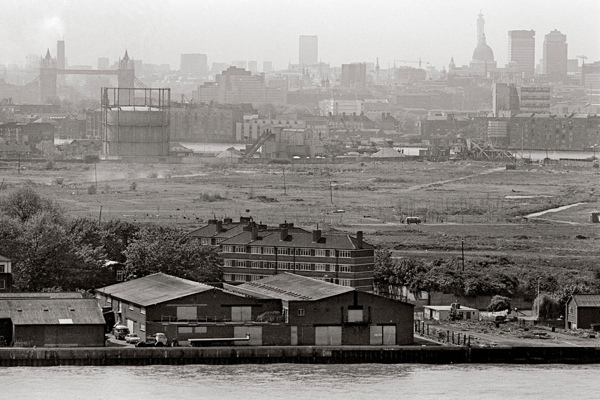 So *that’s* what Rotherhithe used to look like before it got filled in with flats. 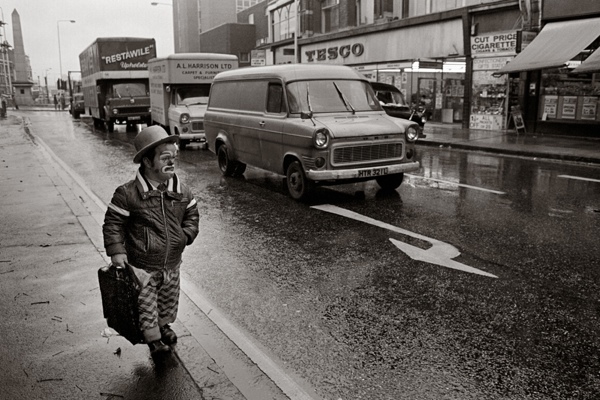 There is sadness in the photo of the clown on Stratford Broadway. It’s very touching. Saw that tiger poster or one very much like it when I was a kid around 1975 in the old docks at the bottom of Pennington st off the highway, we used to go over there fishing and getting up to mischief !! I was gonna nick it ! 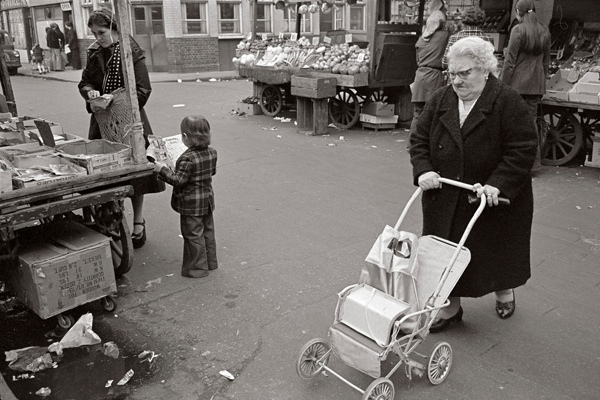 truly a great photographer ,I wish somebody would invent a time machine ,I would be the first to go back to the east end 1960s 1970s ..
Weird feeling of time travel. So real yet so far away. Great photographs. HOw can I get to see more of Stepney Green and Whitechapel.